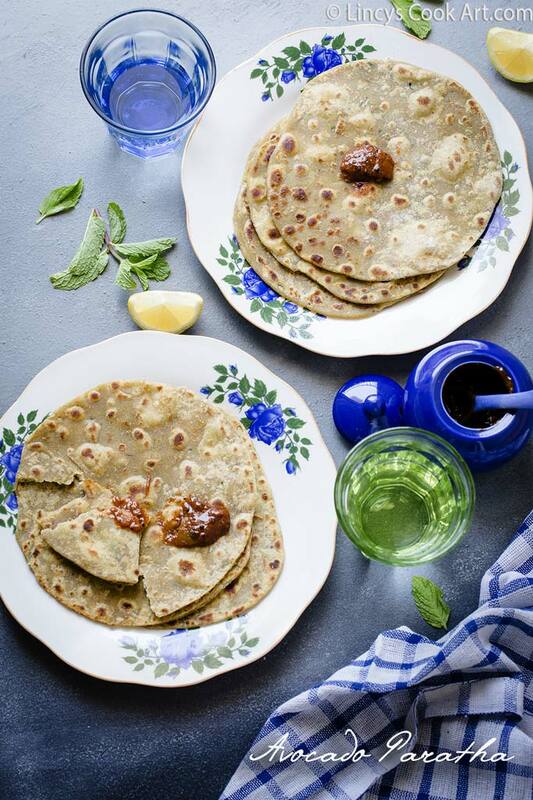 Avocado Paratha| Guacamole Paratha is a healthy variation to plain parathas. 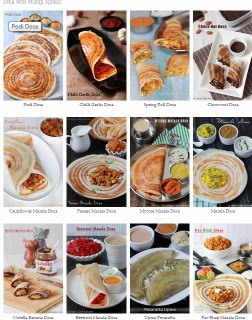 I have been posting various rotis and paratha recipes last year. This year so far i have not posted any paratha recipes. 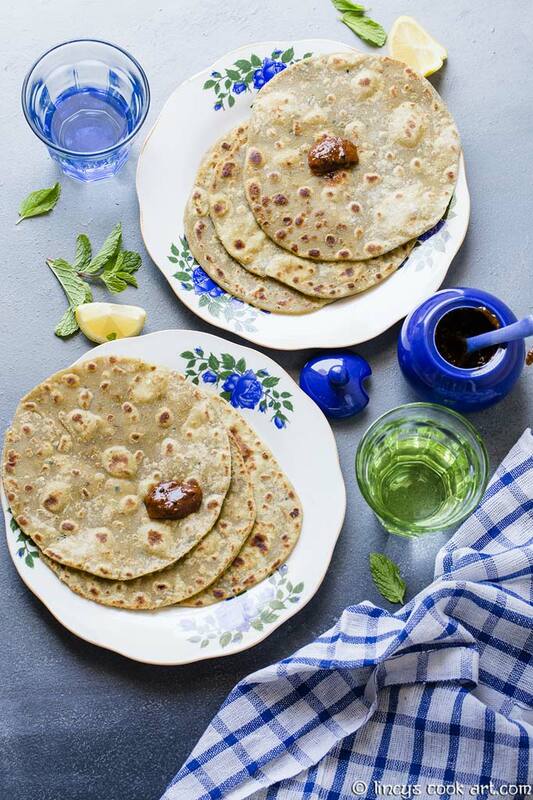 So here i have prepared some avocado parathas to update my Rotis and Paratha recipe collection post. 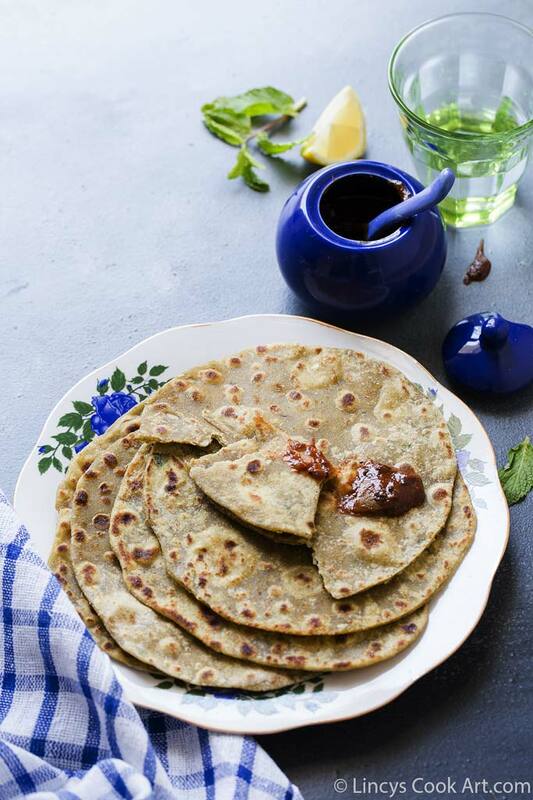 Unlike stuffed parathas this is a quick to make easy recipe. Because of the avocados the parathas will be so soft and nutritious. Actually i bought those avocados to make some drink for this hot summer. Here at home every one has sore thorat and could not make a drink out of it. So the avocados were waiting inside fridge for about a week. Then i was planning for some salad or the other recipes which wont be cold and ended up in making these yummy parathas. Cut the avocado and scoop out the flesh using a spoon. With this add lemon juice finely chopped garlic, green chillies, coriander leaves and roasted jeera powder. Mash well with a potato masher or you can use blender too. Add a teaspoon of oil and enough salt for the rotis. Now gradually add the atta and knead well to form a dough. Grease the dough with a teaspoon of oil and rest for 10-15 minutes. Dust with flour and roll the dough into small parathas using rolling pin. Heat a pan and reduce the flame to medium and grease the pan and cook the parathas both the sides till brown spots appears. Note: You could add some spinach and grind together with avocado and make more nutritious Spinach Avocado parathas too. 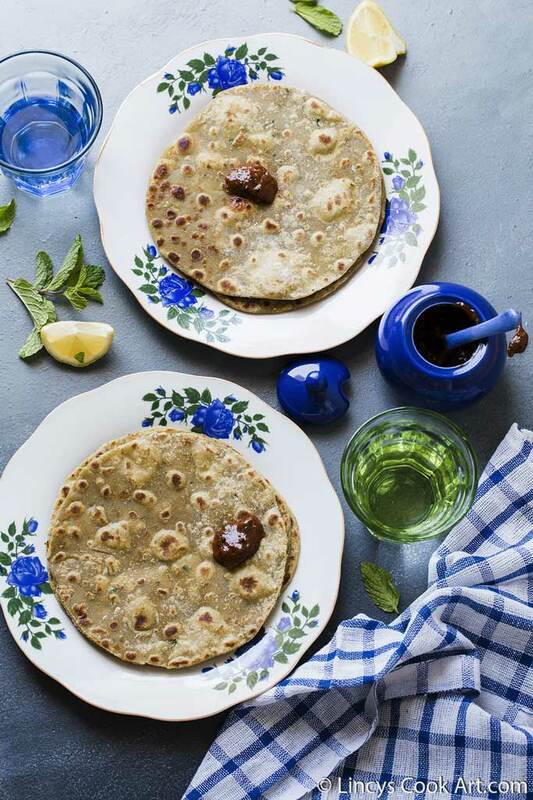 Interesting and healthy parathas... love those plates and the whole color coordinated sets... really beautiful!